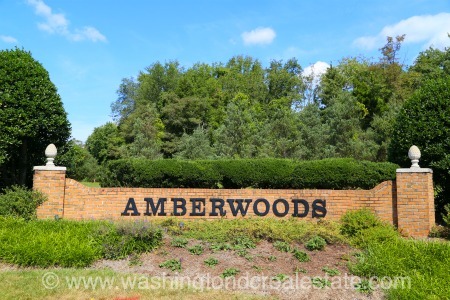 Amberwoods is a neighborhood of single-family homes located in Great Falls, Virginia. Developed in the mid-1980’s, the community features brick, traditional Colonial style homes in a suburban setting. Homes are located on over-sized lots and the community features rolling hills throughout. The Amberwoods community is located in Great Falls and can be accessed off Route 7 via Redburry Court. Residents enjoy walking the the nearby Holly Knoll Park. Schools serving Amberwoods include: Forestvile Elementary School, Cooper Middle School and Langley High School.